So you’ve probably heard the word telephony thrown around from time to time. Maybe you were hanging out in a certain IRC channel, wanted to root your cell phone, or maybe, just maybe, you were actually interested in doing something cool with your computers and phones. This article is the first of a series. I’m going to try my best to explain what telephony is, how it works, and how to write cool programs that integrate voice and data. Telephony is a huge market, and used everywhere (think cell phones). We are living in a time when telephony is casual, common, and popular. While being so huge, it often astounds me to think of how few programmers and tech people ever get around to learning about it, or playing with it. There are very few telephony programmers, and even less proper documentation. My hopes are that these articles will give you a solid foundation in telephony and inspire you to play around with it on your own, and do cool things. The digital circuit in the PSTN is a 64 Kbps channel, and all audio is digitized at 8 kHz. That is, the highest quality voice you can get while making phone calls across the PSTN is 8 kHz (horribly low compared to a standard mp3, most mp3s are sampled at 48 kHz). There are many ways to connect to the PSTN. Chances are, you’ve probably only seen / used a few on a regular basis. That phone sitting in your parent’s house, hooked up to that analog line (or maybe DSL) is a standard POTS (plain old telephone service) line. These are used all over the place, pretty much everyone uses these as ‘house lines’, and many small businesses use them as well to get basic phone / fax service. Next we have T1 / E1. These are primarily business lines, and are dedicated for voice communications. The T1 is the American version, and the E1 is the European version. T1 / E1 lines can carry 24 calls over them, which is what makes them very appealing to businesses. It’s also a lot cheaper to use a dedicated T1 / E1 line as opposed to purchased 24 separate analog lines. These are the basic types of lines people use to connect to the PSTN. There are others, but I don’t think they are worth mentioning here. Most businesses use T1 / PRI lines because they are reliable. VoIP is a great way to get phone service, but is still a very new protocol. One large problem with VoIP is reliability, as it depends on the Internet for routing traffic. This of course causes problems as businesses who lose Internet connectivity will be unable to place and receive calls, unlike analog or dedicated digital lines. I personally use VoIP for everything: my home lines, programming, business stuff, and everything in between. I’d highly recommend that if you want to experiment with telephony and programming, that you get a VoIP line (I’ll cover all this later). Auto attendants (‘Welcome to My Company, press 1 for sales, 2 for support, …‘). Paging and intercom (‘Sale on soup on aisle 5’). The neat thing about PBXs is that they aren’t as complex as you would think! They are just computers, loaded with special software, and fully programmable. Some of the most popular PBXs are Cisco, Avaya, and Asterisk. Cisco and Avaya are proprietary and expensive, whereas Asterisk is free and open source. Asterisk also supports all of the features of the proprietary PBXs, and many more. Back in 1999, Mark Spencer created Asterisk. It’s a free, open source PBX system that is easily installable and usable on any Linux based operating system. Since it’s creation, it has become one of the largest, most used PBX systems in the world. I’m a pro with Asterisk, and we will use it as our official PBX for all of my tutorials. You will master it. Asterisk can provide reliable call routing for thousands of calls simultaneously, which makes it ideal not only for small business usage, but for medium, large, and even enterprise usage. For programmers (like most of you), Asterisk provides many great features for developing your own telephony applications. Stuff like the AGI (asterisk Gateway interface), AMI (Asterisk manager interface), dialplan (Asterisk core scripting language), call files, and many other features. I’ll cover all of these items later in this series. As you’ve probably guessed, Asterisk makes integrating voice service with pretty much anything else a breeze. This is one of the reasons why Asterisk is so powerful, and why telephony rules. Not because it’s ‘cool’ to talk on the phone, but because we can integrate so many other things with it. The PBX connects to the PSTN and acts as a gateway for all phones and programs running on it to connect with the outside world. 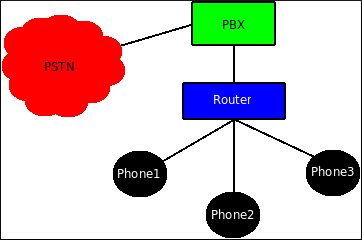 The PBX provides services and routing for calls via whatever PSTN connection you are using (PRI / BRI / T1 / E1 / POTS / VoIP). 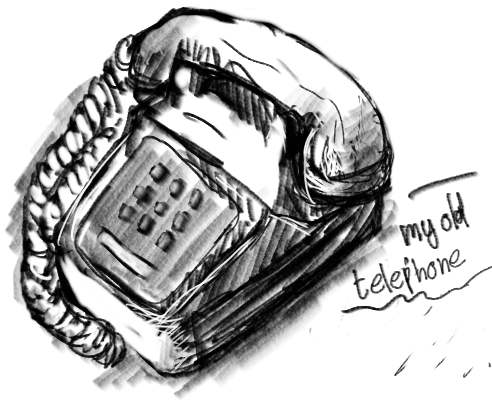 When I first started learning about telephony, it was for my work, and I didn’t find it all that interesting. That is, until I learned all the cool things that you can do with it. So I’ve listed some things below which are just basic examples of things you can do (through simple telephony programming). If you have any interest in this stuff, be sure to read the rest of this series, and pwn telephony! DoS phone lines (cripple a business’ phone line). Snoop on other people’s phone calls. Dive right into the action. The next article in the series will cover setting up your very own Asterisk PBX system. I’ll have detailed setup information, and we’ll walk through a complete installation step-by-step. You don’t need a dedicated computer for this (even though it does make things a bit simpler), all you’ll need is an Internet connection, and about 1 hour for setup. My motivation for writing this series is to get people involved in the telephony world. There is a huge lack of telephony programmers, and as a result, there aren’t that many cool telephony-based services. Also, the phreaking scene has all but completely died off, and I think it is time to reinvent the telephony hackers underground!